"When he cried, he cried alone." I have a simple goal here... I need you to share this with as many folks as you know who will take heed. Many of you know my love for music. I do my best to share and spread that love to all that will listen. This is that love and so much more. Many of you know the struggles that Mr. Gord Downie is currently facing (emotionally documented here) and despite this being a time when no one would blink if Gord turned inside for himself - he has chosen to continue to shine the light on a topic that is... well, mortifying, despicable and has been flat out ignored by North Americans for over a century - Aboriginal and Native American residential schools treatment of their "students" and their families (Canadian Wikipedia / US Wikipedia) and the systematic approach and sponsorship by our churches and governments. Unfortunately, we were not Ahead By a Century, instead, we stole over a century of some of our most sacred culture(s). Please go to Secret Path and order the record, the book, and the digital. Or simply donate to The Gord Downie + Chanie Wenjack Fund (DWF). Money raised for the DWF will be used to create new relationships for reconciliation. In the end, Gord Downie with Kevin Drew & Dave Hamelin (accompanied by Jeff Lemire's gorgeous illustrations) made a beautifully haunting album that I am convinced Chanie would enjoy. Like most, I slip into thoughts of grandeur of my youth. Being "bored" in Montana with only skiing, cycling, camping, fishing, friends, and ripping on my motorcycle to keep me busy. I dreamed of the exciting life of the city. Now, with 95% of my adult life spent in various metropolitan areas, I find myself dreaming of my youth and the beauty that was my upbringing. 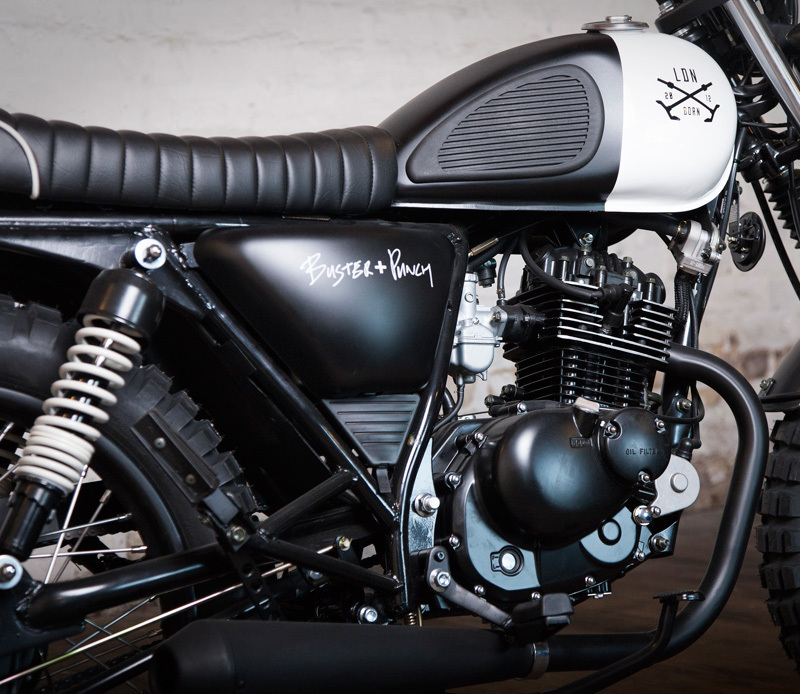 Mutt Motorcycles teamed up with BUSTER + PUNCH to create a beautiful custom motorcycle that is one part gorgeous design (duh, BUSTER + PUNCH) and one part youthful perfection. I am very excited to announce that my good friend and Cubs fanatic, Nicole Rendler, has graciously agreed to share her immense photography and written talents with us on The Black Canoe. Be prepared to hear plenty of Baby Bears baseball news, travel photos / exploits, and generally... all things Chicago.